Today it is one year after the Fukushima earthquake and nuclear disaster in Japan. 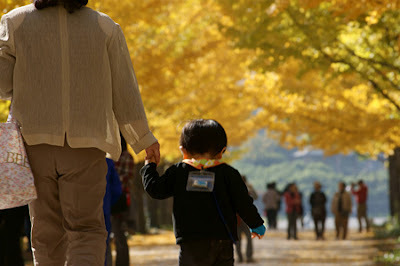 Photo: Ginkgo trees in Azuma Sports Park Fukushima, November 2011. The child carries a radiation monitoring badge. Read more here. See another photo here.